Built in 1907, the Putnam House has been home to the Foster County Historical Society since the fall of 2001. 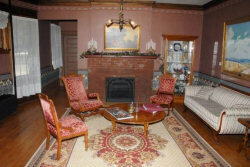 The home’s rooms reflect the spirit and style of the Putnam’s along with museum collections and other items providing a lively depiction of Foster County’s history, its people and their varied lives. Embellished in the neoclassical tradition, the 4,300 square-foot home exhibits the fine craftsmanship and architecture found at the turn of the century. The variety of woodwork, Palladian and stained glass windows, the dining room built-in-oak buffet with leaded glass doors and combination gas-electric light fixtures are just a few of the outstanding features of the home. 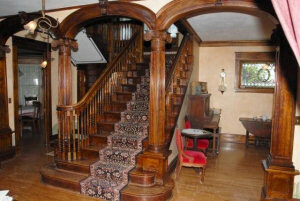 However, the grand staircase is the major focal point. Other features include a wrap-around porch deck complete with Ionic columns and a porch swing. The mission of the Putnam House is to further history, arts, humanities, family, and community opportunities in a historic setting along with preserving the home. Our goals include offering visual and performing arts, adult and youth educational classes along with special events. 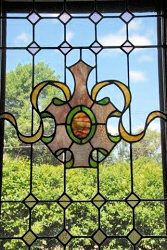 Art Exhibits are displayed during the summer months and our Summer Concert Series, ‘Music on Main’, features many music styles on the home’s wrap-around porch, also during the summer months. Adult education classes have included painting, stained glass, jewelry making, ethnic cooking and more. Youth education classes are also held with a variety of themes. Events have included Annual Wine Taste and Auction fund-raiser, Festival of Wreaths, Cookie Walk, Holiday Events, Beer Taste and more. 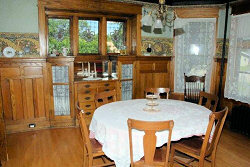 The Putnam House is also available for tours and private rentals.